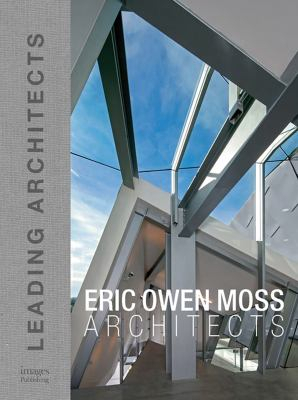 Eric Owen Moss : Leading Architect - ubiq bookshop: the best place to buy books! Provides in-depth analysis of Eric Owen Moss' philosophical and engineered solutions to architecture and design, often representing paradigm shifts in focus - Covers projects from around the world, including China, Finland, United States, Russia, Mexico and across Europe - Traces the forty-year career of this prolific industry leader, and presents works with detailed descriptions, accompanied by sketches, diagrams, plans and photographs in full color throughout. The work of Eric Owen Moss Architects is about "making it new," and the aspiration to uncover new ways to think, to feel, to see, and to understand architecture and this essential concept is the departure point for Eric Owen Moss Architects. This firm's oeuvre is underscored by its unique approach to design, which is that it's convinced the world renews itself, and that architecture has the capacity to offer alternative venues as human affairs continue to be re-imagined. Showcasing highly illustrated and richly photographed works, this volume illuminates how Eric Owen Architects avoids traditional organisation strategies, standardised design solutions, and any notion of architecture as simply a repetitive style. This book delves into how the firm is fascinated both by individual buildings, and that evolving inter-relationship between building and city, and the interrogation of that urban/building exchange in a search/research of alternative design tactics, methods, and techniques that will obligate and modify both building and city. Spanning four decades, Eric Owen Moss Architects has designed a variety of award-winning buildings that continue to re-shape the discourse of international architecture. The Eric Owen Moss office works across a range of typologies and continues to educate through prolific engagement, including master planning, building designs, exhibits, lectures, publications, and teaching around the world.